Dyson Doors remain consistently up to date with current industry regulation and requirements. In addition to this, we ensure all of our products attain and exceed quality standards utilizing a variety of control measures throughout the company. Constructionline is a register for pre-qualified contractors and consultants used by the construction industry of the United Kingdom. The database contains details for over 46,000 suppliers and is accessed by more than 4,000 buyer organisations. This demonstrates our commitment to safety and shows that we have the relevant qualifications and training to do your job safely on site. UKAS is the UK’s National Accreditation body, responsible for determining, in the public interest, the technical competence and integrity of organisations. Pasma stands for Prefabricated Access Suppliers’ & Manufacturers’ Association. It is the recognized focus and authority for mobile access towers. As a member Dyson doors demonstrates progressive competence in the use of mobile access towers. IPAF stands for International Powered Access Federation, one of the most recognised governing bodies when it comes to using Power Acces Equipment. As a member, we demonstrated the qualified and safe use of power access such as scissor lifts. The water industry accredited National Water Hygiene Card Course is designed for those who work in the production of drinking water supplied by the regional water companies. As confined space trained staff, we are both qualified to work in and aware of the specified risk associated with confined spaces. 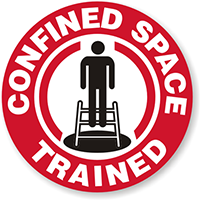 A confined space is any space including chamber, vessel, tank, silo, pit or other small space that is largely enclosed (not always entirely) that contains a foreseeable specified risk of serious injusy. As an employer Dyson Doors has a duty of care to its employees. We meet all health & safety First Aid regulations and beyond. 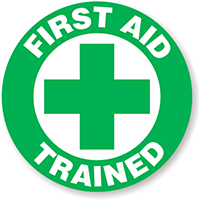 We take pride in knowing our staff are prepared and trained in first aid situations.